The Tractor Shop in Seymour, Texas offers service and parts for Versatile and Kioti tractors, along with Farm King, Country Clipper, Bush Hog and other equipment. 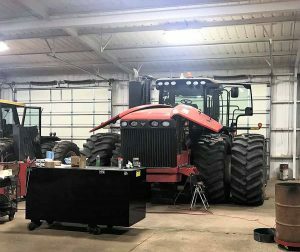 The Tractor Shop has an extensive parts inventory; they stock all of the most commonly used parts and supplies to maintain and repair your equipment. Their inventory includes genuine Versatile and Cummins parts as well as after-market parts. They also stock parts for the other manufacturers they carry. Because their inventory is large, you will receive your parts, in most cases, the same day. 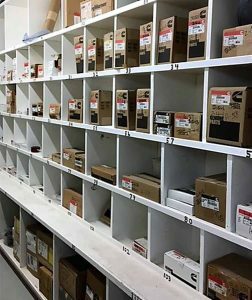 If a part needs to be ordered, they can have it delivered quickly so that your equipment can be repaired and up and running, fast! The Tractor Shop offers a full-service repair and maintenance department for your equipment. They are an authorized repair center for Versatile. As a Versatile dealer, they have factory-trained technicians that can handle everything from routine scheduled maintenance to major service, repairs and overhauls. They have access to the latest service information and knowledge from Versatile. As a Cummins full service dealer, The Tractor Shop provides certified technicians to provide the service support you need, when you need it. Whether in the shop or in the field, they have the technical expertise, factory support, and experience to deliver fast, high-quality repairs through Cummins global QuickServe® process. With these tools they are able to deliver consistent support that minimizes your downtime and keeps your business moving. At The Tractor Shop they are committed to offer you the best in parts and service.